Newtie, Cory, Johnny and Stephan were all fantastic guides. Safety conscious, high spirited, great chefs, efficient, and hard-working. The views of the Grand Canyon were awesome, and their explanations of the geology and history added greatly to our enjoyment. The 26 guests bonded well and had wonderful discussions and enjoyed each other's company. It helped that the weather was fantastic throughout the week too. 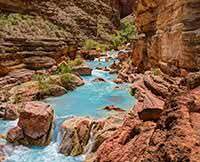 Hikes to various sights of interest were great, especially Havasu Creek. 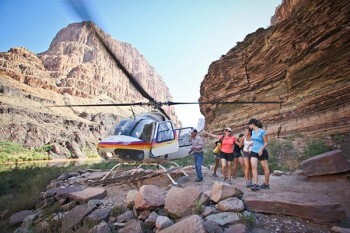 The shuttle to Boulder City airport, the flight to Marble Canyon, the shuttle to the rafts, the helicopter ride out, the plane flight back to Boulder City, and the shuttle back to Vegas were all well organized and efficient. Well done!